Swimming with Elephants Publications, LLC has closed submissions for our Chapbook open call in 2018. We had a great submission experience with more than double the submissions of previous years. Our judges are working diligently to read all the of the wonderful manuscripts and make their decisions. The three manuscripts chosen for publication in 2019 will be announced in January 2019. Please stay tuned and follow along for the announcement of our chosen manuscripts and up coming publication information. We have an excited 2019 planned for Swimming with Elephants Publications, including the creation of the Weekly Write, new releases from our Parade of Poets (including Jessica Helen Lopez and SaraEve Fermin), and the continuation of our yearly anthology, Parade. We will once again run an Open Call for Chapbook is the fall of 2019, as well as be looking for future features for our Weekly Write and artwork submission. Keep an eye on the website for upcoming Submission Calls. Currently, we are looking for Prose Submissions for an upcoming anthology focusing on Eating Disorders. If you have a story regarding Eating Disorders, whether it is a personal telling or an observation of another or even a commentary regarding the issue, please consider submitting it for the upcoming anthology. Find more information on our Submittable Page. Chosen submission receive publication, two contributor copies of the anthology, and the ability to purchase the anthology at publisher cost for the lifetime of the publication. We are also seeking artwork for two upcoming publications in the Spring. We do not charge a submission fee for artwork and chosen artwork will be purchase from the artist. Please see our Submittable Page for more information on what we are looking for and how to submit. Swimming with Elephant Soiree THIS SATURDAY! Make your way down to Tortuga Gallery this Saturday to join us in celebrating five years of publishing under Swimming with Elephants Publications, LLC. An size donation will get you in the door, but a minimum 5$ donation will get you a SwEP Swag bag. We will have a limited supply of books for sale at the event. All available books will be priced at 10$ each or three for 20$. Bring cash or credit card (a 1$ service charge will be added for credit card purchases). If you want to be sure to have a certain book signed by one of our performing poets, you are encouraged to purchase it prior to the event and bring it along. Many of our poets will also be bringing their personal crafts to sell at the event so come get some shopping done for the holidays. This is a pot luck, bring your own beverage event (Yes, alcoholic beverages are okay, just be responsible). Please attempt to bring reusable plates/cups etc. View Tortuga’s Zero Waste Goals for more information. Every year, Swimming with Elephants Publications reviews our bookshelves for books which will be discontinued in the new year. This year, we will announce two books, with discontinuation dates of December 15, 2018. If you would like to get your hands on either of these fantastic publications, order today or pick up a copy at the Swimming with Elephants Soiree. 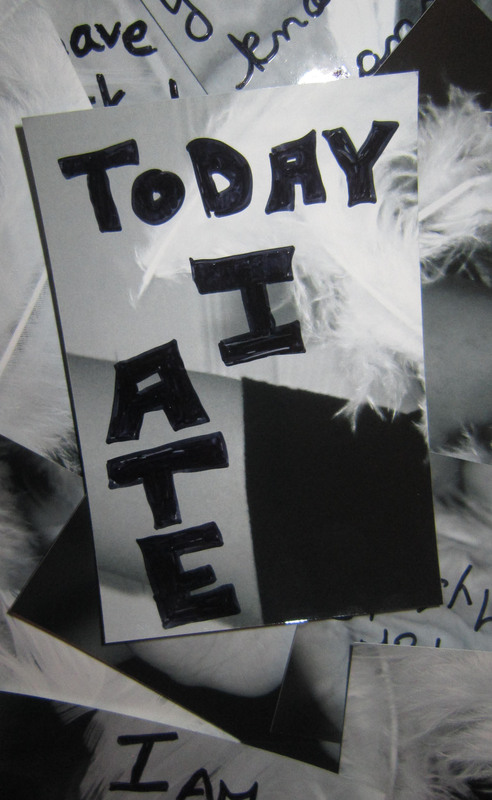 “I ate today.” This simple statement, which opens the poem Falling, is the perfect embodiment of the simple necessity and stark power of the work contained in this collection. With themes centered on eating disorders and mental health issues, many may hesitate to pick up this collection, expecting either a morose and somber compendium of struggle, or perhaps thinking there is nothing here they can relate to. They would be wrong on both counts. 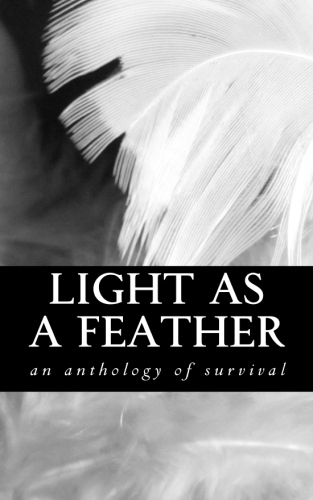 Light as a Feather is a potent and surprisingly gentle assemblage of voice and experience threaded together with a delicacy that almost belies the harsh, at times almost violent, brutality of body image, external perspectives and self doubt that go hand in hand with the issues being discussed. 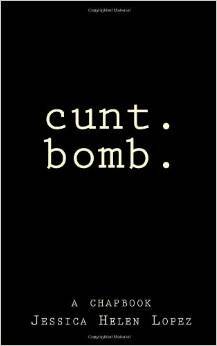 The authors included herein have strewn themselves in vulnerable and fearless positions throughout these pages to speak truth, empathy and encouragement to anyone reading and frankly the result is an impressive, urgent and altogether timely message. Sometimes the simple act of feeding yourself makes you a lighthouse. There are shipwrecks within these pages, and for every one of them, there is a survivor hugging the coastline of their own body, holding a lifeline and refusing the sea’s invitation to determine their shape. The writers in this collection range from poets who have published more than one book, to high school students just embarking on their writing careers, but they all write about these difficult subjects–depression, eating disorders–with passion and honesty. This book, which showcases human experience carefully crafted into poems, ends up being more uplifting than bleak, and reminds us that “everybody wears beauty exquisitely.” An important collection!